When Does Your Child Need Speech Therapy? When it comes to your child’s ability to speak, it’s important to be able to determine whether your child is meeting the major milestones in child development or slipping behind. Speech therapy can help children that are either finding pronunciation difficult, or even help children who are having trouble with literacy. Now, we’ve taken a closer look at what signs you should look for in your child and if you should consult with your pediatrician about speech therapy. Children develop at different paces. Some children will learn to walk more slowly than others, and some children will have more trouble with coordination than others. However, there are some things you should watch out for when it comes to speech or language problems. If your child doesn’t babble between the ages of four and seven months, then there could be more issues you should look into with your pediatrician. In addition, you should watch for your child making only a few sounds or gestures between the ages of seven and 12 months. Between the ages of seven months to two years old, you should be conscious of whether your infant understands what you and others are saying. In addition to these warning signs, you should listen to your child. If you and others can’t understand what your child is saying between 18 months to two years, or if your child struggles with words between the ages of two and half to four years, then you may want to consult your pediatrician. 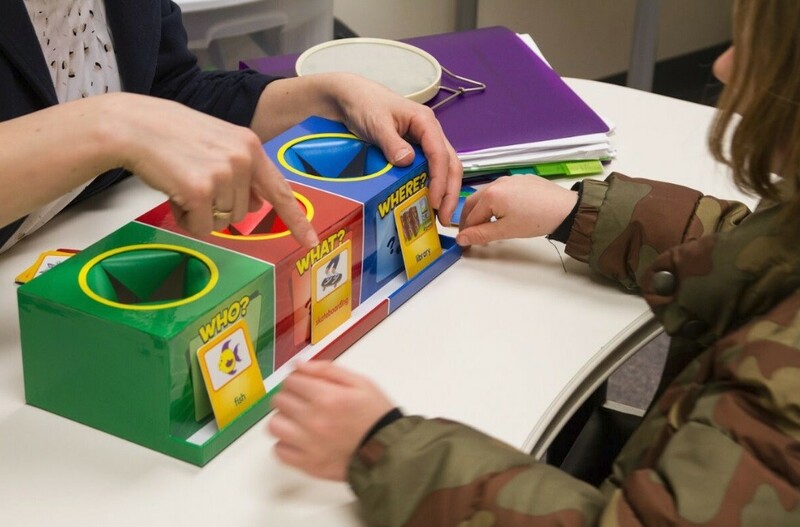 Speech therapy focuses on helping a child communicate better both verbally and nonverbally. More specifically, it can help a child with language fluency, which is especially important for a child who stutters or has disfluencies in their speech. It can also help with your child’s ability to listen and understand language, which is known as their receptive language and their listening skills. If you think that your child may need speech therapy, then first consult with your pediatrician. If you’re looking for a speech therapist for your child, then consider Cheshire Fitness Zone. The speech and language team have over 30 years of cumulative experience diagnosing and treating a variety of disorders. They focus on improving a child’s ability to communicate both verbally and nonverbally in a fun, nurturing, creative environment. If you’re interested in setting up an appointment, or simply want to learn more about the therapies offered, don’t hesitate to contact us.